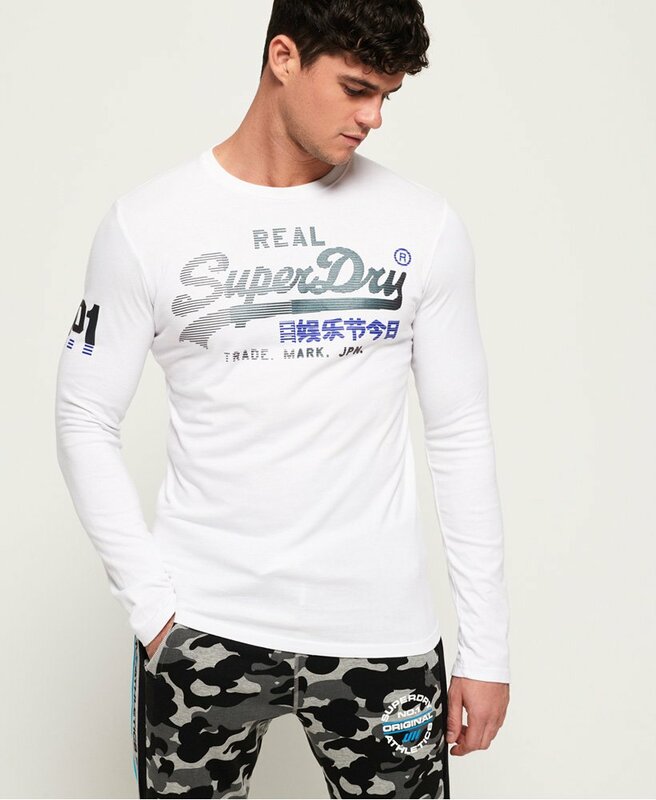 Superdry men’s Vintage logo 1st Duo t-shirt. Keep it casual with this long sleeve tee. Featuring a textured Superdry logo across the chest and a number logo on the sleeve.